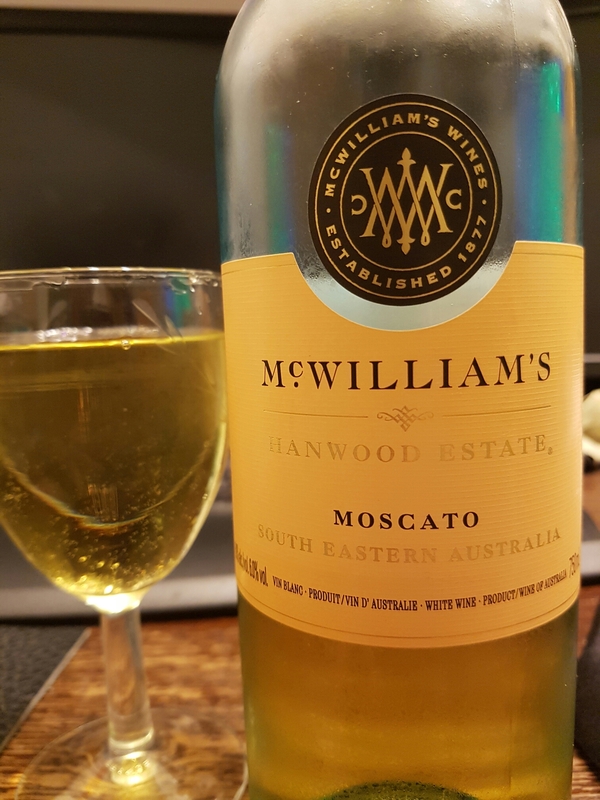 McWilliam’s Hanwood Estate Moscato (NV) – (South Eastern Australia) | Justintoxicated. Visual: Twist cap top. Pours with bubbles settled at the bottom of the glass, clear light yellow, no activity. Summary: Super playfully fruity controlled sweet and hardly expensive. Recommended for parties, with a meal, or as a palate cleanser, this one is extremely easy to drink. Might cause heartburn for some.